Dr George Shapiro has been a practicing physician for 25 years specializing in Internal Medicine, Cardiovascular Disease and Age Management Medicine. He completed his training and spent his early career at Columbia University College of Physicians and Surgeons in New York City focusing on Cardiovascular Disease Management including Congestive Heart Failure and Heart Transplantation. 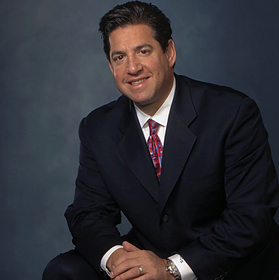 Dr. Shapiro grew a large successful private practice in Scarsdale NY where he currently sees patients daily. Always challenged by the need to innovate medicine, Dr. Shapiro has patented medical devices as well as explored and innovated new medical protocols. This led him to a career in Age Management Medicine focusing on the Prevention of Heart Disease and Stroke including Regenerative medicine and improving longevity. Today he has a second practice located at 40 Wall Street where he is the President of Cenegenics- New York City serving some of the most powerful leaders in business and society from around the world with Age Management treatments. Age Management Medicine is a proactive, preventive approach focused on preservation of optimum human function and quality of life, making every effort to modulate the process of aging prior to the onset of degenerative aging. The basic tenets of Age Management Medicine are patient evaluation through extensive medical history, lifestyle assessment, physical examination and laboratory evaluation to establish personalized proactive treatment plans consisting of proper diet, exercise, stress management and appropriate medical interventions. Dr George Shapiro is active in 13 medical societies, is a speaker for the Age Management Medicine Group (AMMG) and serves on the panel for the AMMG planning committee. He was chosen as the Chief Medical Officer for The NFL Alumni’s Optimal Bowl and Wellness Challenge, a one of a kind wellness competition, web TV documentary series, social media and publicity campaign to promote methods of improving one’s wellness to the general public. The not for profit project also serves as a fundraiser for youth oriented charities supported by the NFL Alumni. He also has been a National speaker for several top Pharmaceutical companies. In, addition he was a clinical expert for various radio stations, and has been a medical consultant for several TV shows. He is currently in the process of writing a book on Optimal Wellness. He serves his Local, Regional and National community as an Emergency Responder with multiple roles including Physician/Firefighter for the Ardsley Volunteer Fire Department, and is a member of the Westchester County Department of Special Operations HAZ-MAT team where he is an Advanced HAZ-MAT Technician. Dr. George Shapiro has completed extensive training thru the New York State Division of Fire Prevention and Control and U.S. Department of Homeland Security Center for Domestic Preparedness in many programs including Weapons of Mass destruction and incident response to Terrorist Bombings at the Energetic Materials Research and Testing Center. 3/27/13 American Board of Internal Medicine / Maintenance of Certification program / Perelman School of Medicine at the University of Pennsylvania / Awarded “50” AMA PRA Category 1 CreditsTM. 3/8/13 19th Annual US Chapter Meeting Vascular Biology Working group / San Francisco, CA / Awarded “3.7” AMA PRA Category 1 CreditsTM. 3/13/10 16th Annual US Chapter Meeting Vascular Biology Working group / Atlanta, GA / Awarded “4.0” AMA PRA Category 1 CreditsTM. 3/29/08 14th Annual US Chapter Meeting Vascular Biology Working group / Chicago, IL / Awarded “4.0” AMA PRA Category 1 CreditsTM. 12/27/07 American Board of Internal Medicine-Continuous Professional Development / Maintenance of Certification program / Issued by the American College of Physicians / Communication-Subspecialists SEP Module (Part 2) 91-A / Awarded “10” AMA PRA Category 1 CreditsTM. 12/7/07-12/9/07 40th Annual New York Cardiovascular Symposium / Major Topics in Cardiology Today / New York, New York / Awarded “20” AMA PRA Category 1 CreditsTM. 6/4/07 American Board of Internal Medicine-Continuous Professional Development / Maintenance of Certification program Issued by the American College of Physicians Communication-Subspecialists SEP Module (Part 1) 91-A / Awarded “10” AMA PRA Category 1 CreditsTM. 3/23/07-3/24/07 13th Annual US Chapter Meeting Vascular Biology Working group / New Orleans, LA / Awarded “3.7” AMA PRA Category 1 CreditsTM. 3/24/07-3/27/07 56th Annual Scientific Session-2007 / American College of Cardiology / New Orleans, LA / Awarded “32” AMA PRA Category 1 CreditsTM. 2/28/07 American College of Cardiology Foundation CCTSAP and Cardiac CTA course / Awarded “12.50” AMA PRA Category 1 CreditsTM / Awarded “31.00” AMA PRA Category 1 CreditsTM. 12/8/06-12/11/06 39th Annual New York Cardiovascular Symposium Major Topics in Cardiology Today / New York, New York / Awarded “20” AMA PRA Category 1 CreditsTM. 3/11/06-3/14/06 55th Annual Scientific Session-2006 / American College of Cardiology / Atlanta,GA / Awarded “26.5 ” AMA PRA Category 1 CreditsTM. 1/3/06 Adult Clinical Cardiology Self-Assessment Program (ACCSAP VI) / American College of Cardiology Foundation / Awarded “140” AMA PRA Category 1 CreditsTM. 12/9/05-12/11/05 38th Annual New York Cardiovascular Symposium / Major Topics in Cardiology Today / New York, New York / Awarded “19” AMA PRA Category 1 CreditsTM. 3/6/05-3/9/05 54th Annual Scientific Session-2005 / American College of Cardiology / Orlando, Florida / Awarded ”30.75” AMA PRA Category 1 CreditsTM. 1/24/05-1/29/05 22nd Annual Winter Seminar / Promoting Longevity and Well Being / New York Medical College Alumni Association Faculty member- Topic discussed “Update in Cardiovascular Disease 2005” / Dorado, Puerto Rico / Awarded “14” AMA PRA Category 1 CreditsTM. 12/10/04-12/12/04 37th Annual New York Cardiovascular Symposium / Major Topics in Cardiology Today / New York, New York / Awarded “19” AMA PRA Category 1 CreditsTM. 12/9/04 3RD Annual Vascular Imaging Symposium / American Society of Echocardiography / New York, New York / Awarded “7” AMA PRA Category 1 CreditsTM. 3/04 53rd Annual Scientific Session-2004 / American College of Cardiology / New Orleans, Louisiana / Awarded “35” AMA PRA Category 1 CreditsTM. 4/22/04-4/24/04 2004 ASCeXAM Review Course / American Society of Echocardiography / San Francisco, California / Awarded “20” AMA PRA Category 1 CreditsTM. 10/15/03 American Board of Internal Medicine-Continuous Professional Development Maintenance of Certification program / Issued by the American College of Physicians / Cardiovascular Disease SEP Module 01-C / Awarded “18” AMA PRA Category 1 CreditsTM. 10/13/03 American Board of Internal Medicine-Continuous Professional Development / Maintenance of Certification program / Issued by the American College of Physicians / Cardiovascular Disease SEP Module 01-B / Awarded “18” AMA PRA Category 1 CreditsTM. 9/28/03 American Board of Internal Medicine-Continuous Professional Development / Maintenance of Certification program / Issued by the American College of Physicians / Cardiovascular Disease SEP Module 01-A / Awarded “18” AMA PRA Category 1 CreditsTM. 9/20/03-9/25/03 8th Annual Mayo Cardiovascular Review Course for Cardiology Boards and Recertification / Mayo Clinic / Rochester, Minnesota / Awarded AMA PRA Category 1 CreditsTM. 1/2/03-11/2/03 Adult Clinical Cardiology Self-Assessment Program (ACCSAP V) / American College of Cardiology Foundation / Awarded “150” AMA PRA Category 1 CreditsTM. 10/15/03-6/20/06 13th Edition of the Medical Knowledge Self-Assessment program (MKSAP 13) / American College of Physicians / Ongoing Educational Activity / Awarded “140” AMA PRA Category 1 CreditsTM.